For a newly-wedded couple, honeymoon is the best chance to know each other so that the can create unforgettable lifetime memories. 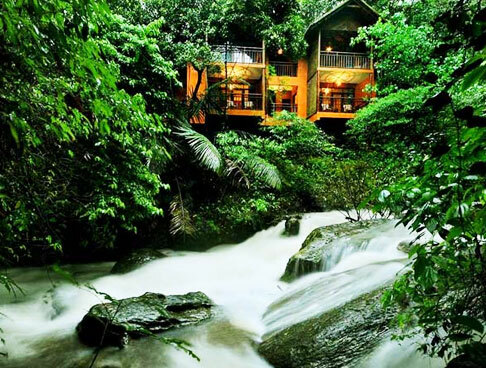 If you are planning your first vacation together, opt for Kerala, one of the most romantic destinations in India. The state has several allures for its visitors such as breathtaking hill stations, architectural delights, peaceful backwaters, pristine beaches, luxury houseboats, exotic wildlife and much more. 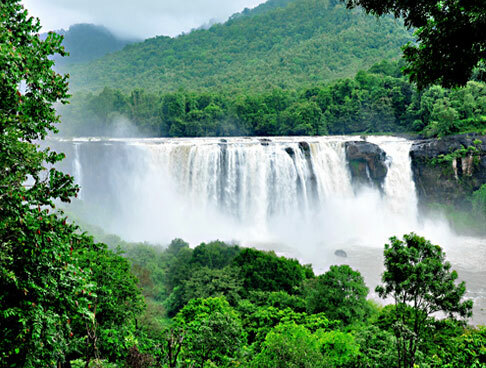 Kerala Honeymoon tour of 8 days offers you all this and a lot more. 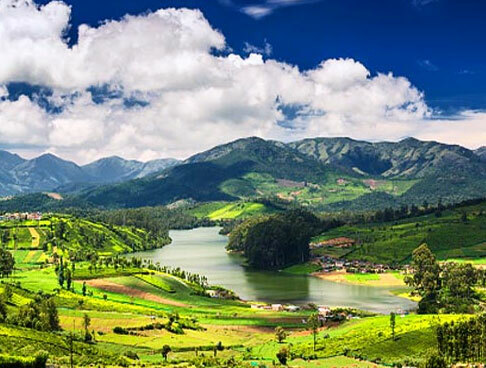 This well-planned itinerary lets you explore popular places like Munnar, Cochin, Thekkady, Alleppey, Kovalam and Trivandrum. As you arrive at the Cochin airport, our tour representative offers you an assisted transfer to the hotel. Complete the check-in formalities at the hotel. Get ready for a sightseeing tour of Cochin. Also known as the 'Queen of the Arabian Sea' and the 'Gateway to Kerala', this cosmopolitan city was a popular port in the ancient times. 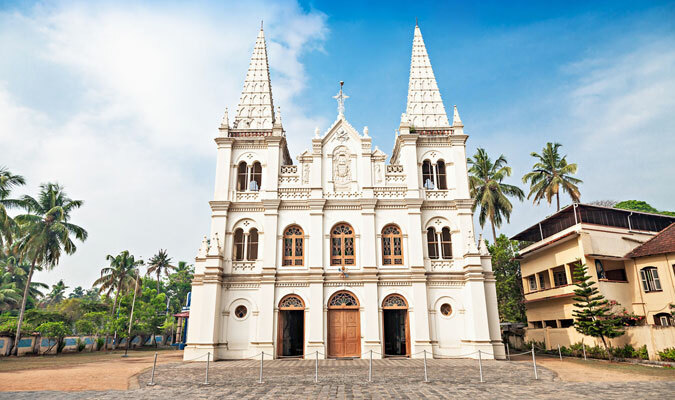 The attractions of Cochin that you visit today include Santa Cruz Basilica-a Gothic style architecture that is one of the 8 basilicas in India and Mattancherry Palace or Dutch Palace- constructed in 1555, this two-storied structure is now a museum with murals, weapons, paintings etc. The last visit of the day is to St. Francis Church- the oldest European church in India that was built in 1503. Explore the place holding hand in hand. Today, in the morning, leave by road for Munnar. Upon arrival, check into the hotel. 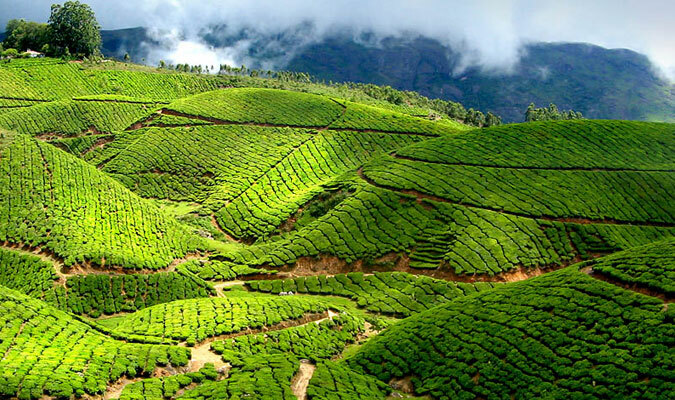 Munnar is probably the most popular hill station of Kerala that is flocked by tourists in crazy numbers. Placed at an altitude of 6000 feet above the sea level, this hill town has pleasant climate, green surroundings, several attractions, aromatic tea plantations, adventure opportunities and more. The rest of the day is free; you can indulge in the activities of your interest. Explore the lovely surroundings in each other's company. In the morning, post breakfast, get ready for sightseeing in Munnar including the Christ Church- an important sacred spot here that was constructed by the British in 1910; Eravikulam National Park- home to the endangered mountain goat of the Nilgiri Tahr that is found in South India. Do visit the Anamudi peak placed within the park. With a height of 2695 m above the sea level, this peak is popular for offering trekking opportunities. Lastly, visit the Mattupetty Dam that has been built on a lake. It is also popular as a picnic spot boasting of verdant and peaceful surroundings. Spend a memorable day at this breathtaking hill station. Post breakfast on day 4, complete the check-in and start your road journey towards the home of the Periyar National Park and Tiger Reserve, Thekaddy. Upon reaching, check-in and relax for a while. 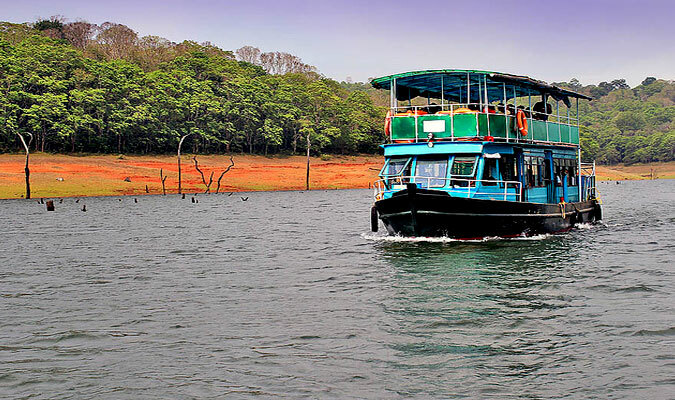 In the afternoon, get ready for motor boat ride in Lake Periyar for wildlife spotting. 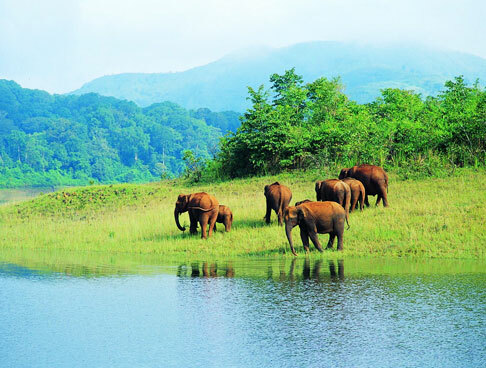 Home to tigers and elephants in good numbers, Periyar is one of the most popular national parks in South India. Other animals that can be spotted hate include Indian giant squirrel, lion-tailed macaque, and Nilgiri Tahr along with over 265 avifauna species. 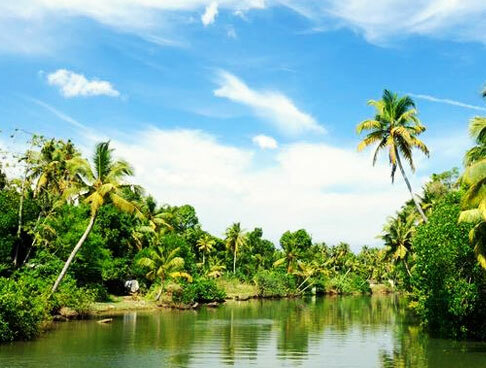 Today, start your road journey to Alappuzha, popularly known as Alleppey. 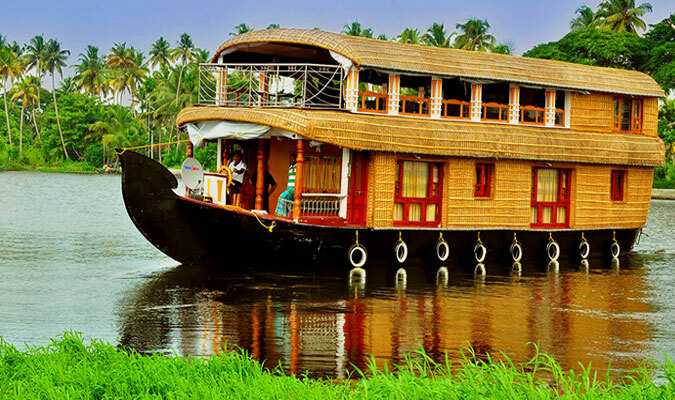 As you reach at the jetty, go on board a well-equipped houseboat, which is locally known as kettuvallam. 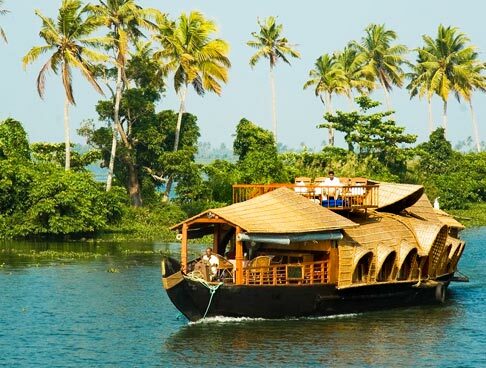 Alleppey referred to as the 'Venice of the East' and is the hub of backwaters in Kerala. 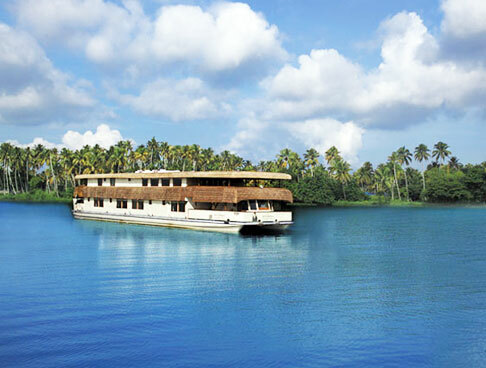 Complete the check-in at this overnight houseboat cruise, which takes you in and around Alleppey. The houseboat in which you are sitting comes with a chef and a rower. Enjoy all kinds of modern comforts in this floating luxury hotel. Peaceful ambiance, green surroundings, paddy fields, coconut groves, bird watching, sumptuous food and coir making industry are going to be some of the highlights. This is going to be one of the most memorable experiences for both of you. The houseboat arrives back in Alleppey. Check-out and disembark the houseboat. 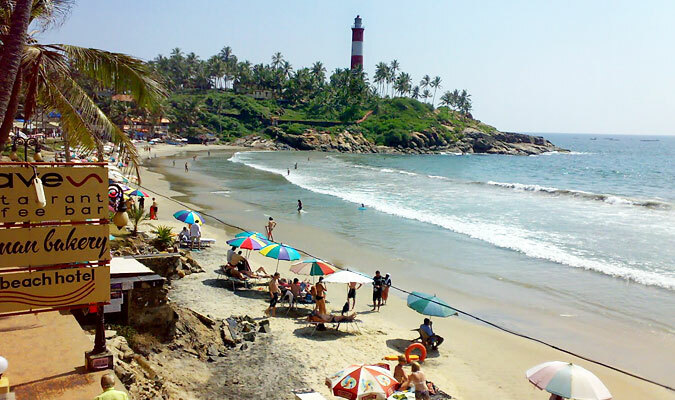 Now begin driving towards Kovalam, a serene beach town. Enjoy a peaceful stay filled with rejuvenation and relaxation, away from chaotic life of the city. Upon arriving, check-into a hotel and have some rest. Now the day is at leisure and you can indulge in the activities of your interest. You can either go for a relaxing Ayurveda massage or can visit the tranquil crescent-shaped Kovalam beach, comprising of Hawa Beach, Lighthouse Beach and Samudra Beach. In the morning, relax at the beach for a while. Later, visit Cape Comorin, now known as Kanyakumari, placed on the southern tip of the Cardamom Hills. The place has an ancient Lord Shiva temple and thus is a famous Hindu sacred site. Visit the beach and indulge in fun activities. 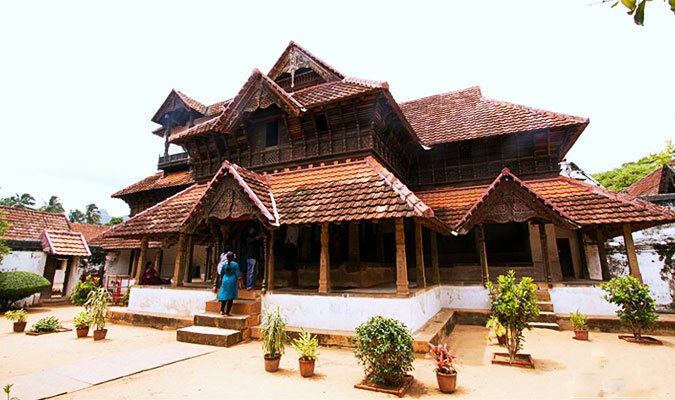 Also visit the popular Padmanabhapuram Palace- a 16th century temple with rose wood furniture, murals, detailed carvings and a huge Durbar Hall. The last visit of the day is the well-stocked Government Archeological museum. Return to Kovalam. On the final day of the tour, move to Thrivananthapuram (Trivandrum). Go for a city tour of Trivandrum, the state's capital city. Thereafter, proceed to the airport for boarding the flight for your onward destination. The other option is to arrive at the Cochin Airport for your onward journey.